Stewart and Caren are both keen cyclists and love outdoor activities so a proposal in the magical mountains of Provence was the perfect setting. To reflect the special backdrop the couple chose a trillion cut diamond which mirrors the shape of the mountain. 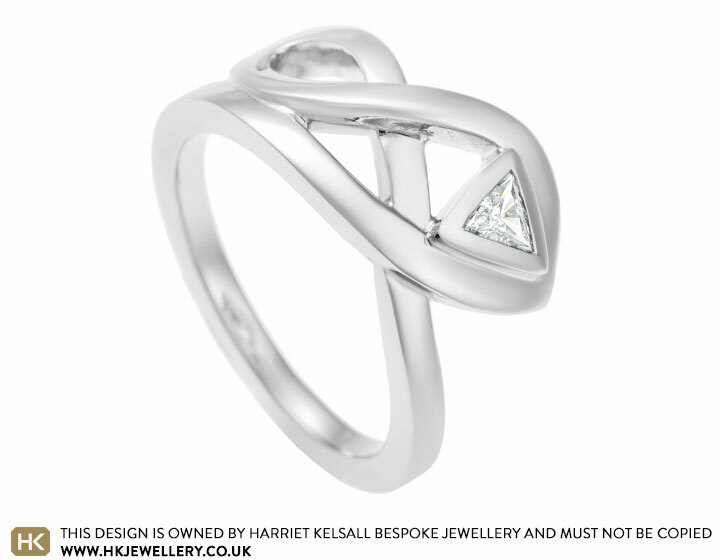 Caren also wanted to incorporate Celtic influences into the design but in an abstract way so the palladium has been shaped to form an organic twist around the striking all around set diamond.